“One day the idea struck me that God listened to Sri Ramakrishna’s prayers. So why should I not ask him to pray for me for the removal of my pecuniary wants, a favor the Master would never deny me. I hurried to Dakshineswar and insisted on his making an appeal on behalf of my starving family. “He replied tenderly, “My dear boy, I have done so again and again. But you do not accept Her, so She does not grant my prayer. 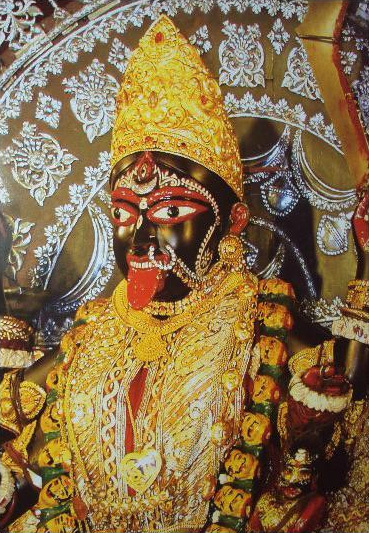 All right, it is Tuesday—go to the Kali Temple tonight, prostrate yourself before the Mother and ask Her any boon you like. It shall be granted; She is Knowledge Absolute, the Inscrutable Power of Brahman and by Her mere will She has given birth to this world. Everything is in Her power to give.” I believed every word and eagerly waited for the night. “About nine o’clock, the Master commanded me to go to the temple. As I went I was filled with a divine intoxication. Me feet were unsteady. My heart was leaping in anticipation of the joy of beholding the living Goddess and hearing Her worlds. I was full of the idea. “Reaching the temple, as I cast my eyes upon the image, I actually found that the Divine Mother was living and conscious, full of divine love and beauty. I was caught in a surging wave of devotion and love. In an ecstasy of joy I prostrated myself again before the Mother and prayed, “Mother, give me discrimination! Give me renunciation; give me knowledge and devotion; grant that I may have an uninterrupted vision of Thee!” A serene peace reigned in my soul. The world was forgotten. Only the Divine Mother shone within my heart. 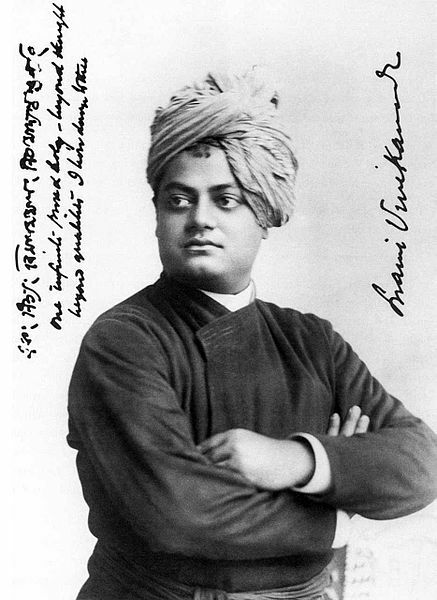 This entry was posted in divine mother, Hinduism, kali, prayer, ramakrishna, vivekananda and tagged divine mother, hindu, Hinduism, kali, prayer, ramakrishna, vivekananda. Bookmark the permalink.